Before you pick up your rental car, compare car hire insurance prices with MoneyMaxim. These money-saving policies provide better cover than that offered by most car rental firms at a fraction of the price. Welcome to the UK's only car hire insurance comparison service - save up to 80% compared with the rates charged at the desk when you collect your Car Hire! Car Hire Excess Insurance is the cheap and simple way of avoiding the sky high prices for excess cover demanded by car hire firms, whilst covering you for excesses that are normally around £500 - £1000, but can be up to €3,000 in France or Italy (and even higher in Australia). 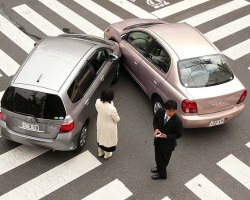 Policies can also cover full Collision Damage Waiver (CDW) and Supplementary Liability Insurance (SLI) often needed if visiting the US or Canada. All policies sold through our service cover damage to the tyres, windscreens, underbody and roof, which are frequently expensive exclusions in the cover provided by car rental companies. Finally, many policies also offer cover for lost keys, misfuelling or breakdown cover - leaving you with a stress-free car hire. Special discounts only available to MoneyMaxim customers! Any queries? - call our team of car hire experts on 0800 520 0699 now for impartial and informative help. Find out how much you can save when hiring Cars, Vans, Motorhomes or Car Club Cars!